I am a huge lover of Walt Disney. The Coach and I went to the “Happiest Place on Earth” for our honeymoon, I own no fewer than 50 animated Disney films, and we have gone to see several Disney Broadway tours (and one Broadway show). One of my favorite Disney movies (and Broadway productions) was Beauty and the Beast. That is why I was so excited to see that it was being made into a live action film. However, it seems that it has caused quite the uproar among my Christian friends on Facebook after the announcement that there will be a gay character in the film. I have seen several comments about boycotting Disney, indoctrination of children, and Disney is no longer family friendly. All of which, I have found to be rather confusing. WHY THIS FILM? WHY THIS SIN? 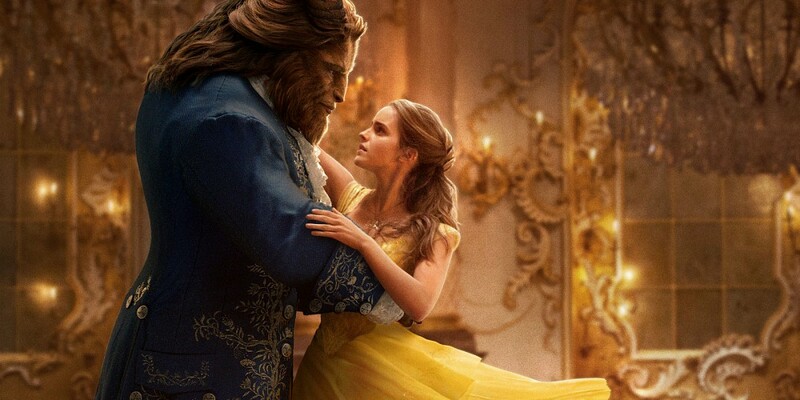 Beauty and the Beast is not indoctrinating children to sin any more than most films do. Galatians 5:19 tells us “Now the works of the flesh are obvious: sexual immorality, moral impurity, promiscuity, idolatry, sorcery, hatreds, strife, jealousy, outbursts of anger, selfish ambitions, dissensions, factions, envy, drunkenness, carousing, and anything similar. Would anyone have boycotted Beauty in the Beast for showing Gaston’s jealousy of the Beast? Why isn’t there an outcry against LeFou’s idolatry of Gaston? Or the Beast’s outbursts of anger? There is an entire bar scene where the town decides to go off and kill the beast after a lot of drunkenness and carousing. Oh, and let’s not forget that the ENTIRE MOVIE is about sorcery! I mean, there is an enchanted rose that turned an entire castle’s wait staff into inanimate objects. Why, then did everyone decide to boycott the film when homosexuality was included? I believe that one major reason Christians are upset about this particular sin because it is not one they themselves suffer from. It is very easy to point out the speck in your neighbor’s eye without removing the plank in your own. Will I be allowing my kids to see this film? Absolutely not! But I would not allow them to see it even without a trace of homosexuality. You bring up an excellent point! There is a difference between including a sin in a movie and celebrating it. Which is obviously what is happening here. While most of the Beast and Gaston’s sins are frowned upon and shown to be “bad” (arrogance, drinking, anger, etc). However, there are SO MANY kids movies, where sin is laughed at or celebrated. In the original and in the play, LeFou is seen as the bumbling sidekick who idolizes Gaston. From my understanding (which may not be correct), the only difference between the old plot and the new is that instead of idolatry, the sin is now homosexuality. And the character is treated the same in both films, yet we are OKAY with idolatry in a movie.